Since Oprah recently announced that she will end her powerhouse talkshow for good in 2011, I thought it might be fun to track down the “pilot” episode. (I don’t know if it’s called a pilot for a talk show.) The closest I have come, so far, is an entry on imdb. It recalls that the guests that day, September 8, 1986, were Charlene Blaine, Chris McWatt, and Seka. Charlene Blaine, has been working continuously on such highly successful shows as The Love Boat: The Next Wave (will have to dig up that pilot), but in 1986 it looks like she had appeared on one episode of Magnum P.I., as “Bed Race Girl.” The website http://www.famouswhy.com has a blank entry for her. Famous why, indeed. Chris McWatt has exactly 3 acting credits listed. And Seka…. Could possibly by Seka Mirkovic, who appeared a single film in 1973. 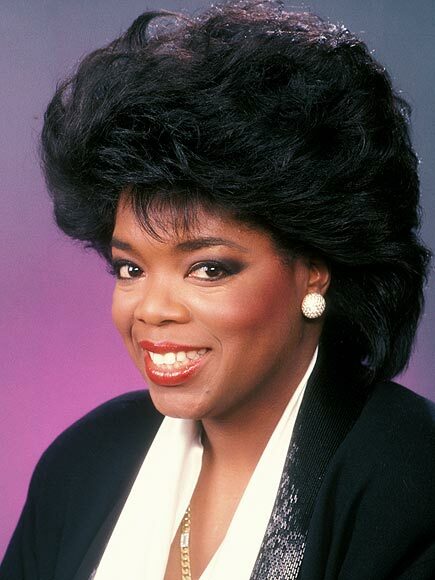 Was Oprah that lame? Did her show actually go from a showcase of unknowns to arguably the launch pad for the campaign of our current President? Really, I’m asking. I don’t remember. I was in elementary school. To her, I suppose, credit, she was responsible for Liberace’s last public appearance, in December 1986. Maybe her roster improved quickly as she caught on with the public. Oprah has a DVD box set available called The Oprah Winfrey Show: 20th Anniversary Collection, but there is no mention in the description of the premiere episode. If anyone has this, or knows where to find the pilot please let me know! This entry was posted in 1980s and tagged blaine, charlene, oprah, talkshow, winfrey by meekthegeek. Bookmark the permalink.